A vivid description of the plot is extremely important in Role Playing Games. Only thedirect blows count during fights and it would be nice to know where did you hit and how badly. Otherwise there is no fun. Q WORKSHOP found a solution for all the RPG systems that do not specify hit locations in their rules. 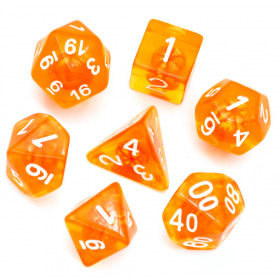 We present the newest D12 Hit location Dice. Smash or cripple your enemy with one precise roll! Have satisfaction that your hero doesn’t only reach locations below knees of the opponents bigger than him. 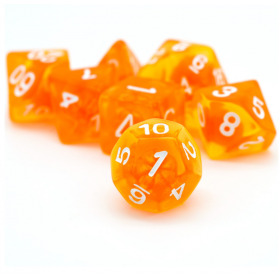 Take this giant die, made with high quality plastic, destined to rolling and throwing on table in dramatic emphases. Then you can tell epic storieson how perfectly your hero attacked the weak spot of your enemy armor. No helmet, so no more head! We decide to not put any texts on die faces. Even Ancient Egyptians, that read only hieroglyphs, would understand the beautifully carved silhouettes on D12 Hit Location dice. We chose elegant, durable pictures instead of texts, because we want to make our bestseller product as universal as possible. 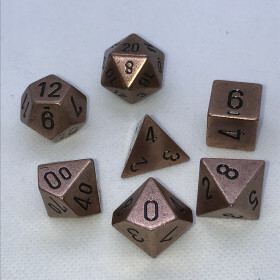 Powers and spells have their own dedicated die in our collection. Blue & white Hit Location dieelegantcarvings will be a great support for all spellcasters and enchanters of lightnings and ice powers. We believe that Power can be devastating and mutilating. Dear Gamemaster, you also gaindestiny tool for location of mutations. Give your players an illusion of blind fate when storm of arrows hitsthe heroes in the most unexpected parts of their body in clash of battle. We created a tremendous die, and it’s not only the size we’re speaking of. We hope that you will have great rolls and many direct hits!